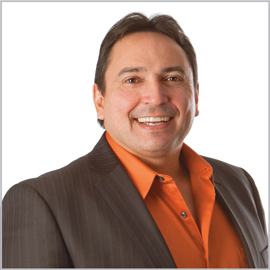 WATERLOO – National Chief Perry Bellegarde of the Assembly of First Nations (AFN) will present a public lecture, entitled “Closing the Gap: A New Era for First Nations in Canada,” at Wilfrid Laurier University’s Waterloo campus on Friday, April 1. Presented by Laurier’s Office of Aboriginal Initiatives, the lecture will begin at 7:30 p.m. in the Maureen Forrester Recital Hall. National Chief Bellegarde’s lecture will address the need to eliminate educational and employment gaps between Aboriginal and non-Aboriginal peoples in Canada, as outlined in the Truth and Reconciliation Commission of Canada’s Calls to Action. National Chief Bellegarde, a member of Saskatchewan’s Little Black Bear Nation, was elected national chief of the Assembly of First Nations in December of 2014. He is an advocate for Inherent Aboriginal and Treaty Rights, as well as the retention of Indigenous languages, with strong beliefs in the laws and traditions instilled in him by the chiefs and elders he has encountered. He is a two-time recipient of the Queen’s Jubilee Medal (2012, 2002) and is the first Treaty Indian to graduate from the University of Regina with a Bachelor of Business Administration (1984). For more information about the event, please contact Corri Arnold, Aboriginal events support coordinator at 519-884-0710 x4311.